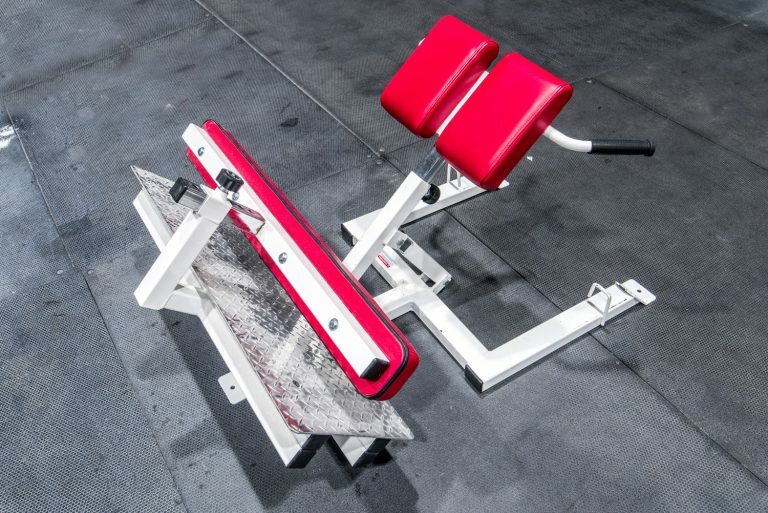 We created our ultimate back extension. 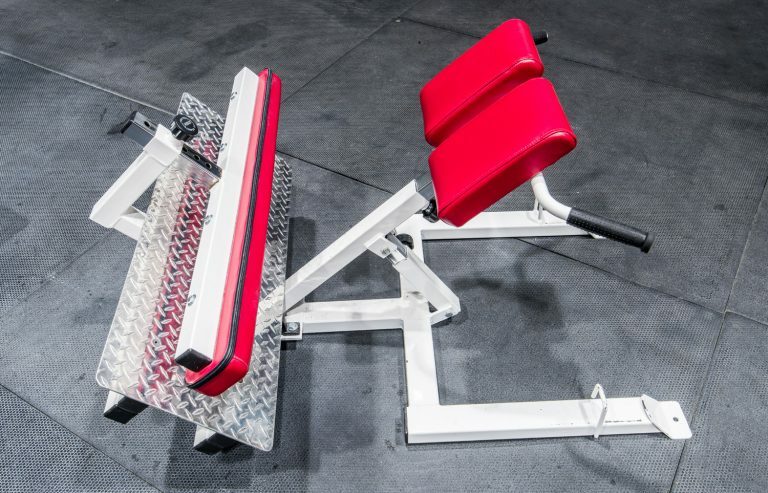 This is one of the most useful pieces of equipment and a must have for any gym. We took the all of the best features we could find and added a few of our own. This bench will accommodate anyone of any body size. The pad extension, range of movement and foot pad are all adjustable. The foot plate is welded to the hip pad frame and adjusts with the height of the pad automatically for a perfect feel. 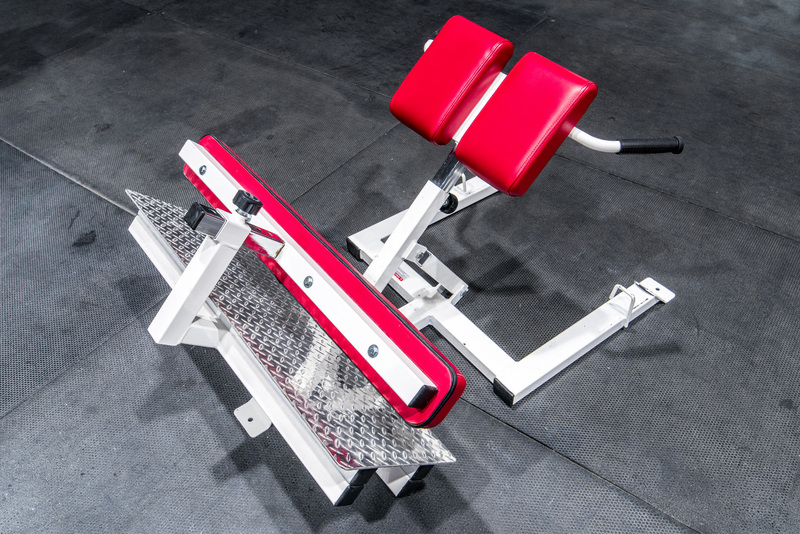 The foot plate is extra wide to accommodate a wide stance and work the hip muscles. This bench was designed specifically to accommodate resistance much greater than body weight. The base frame is never in the way of added resistance which can be raised directly from the floor. It works perfectly with our Fortis Push-up harness to allow for the lifting of immense loads. 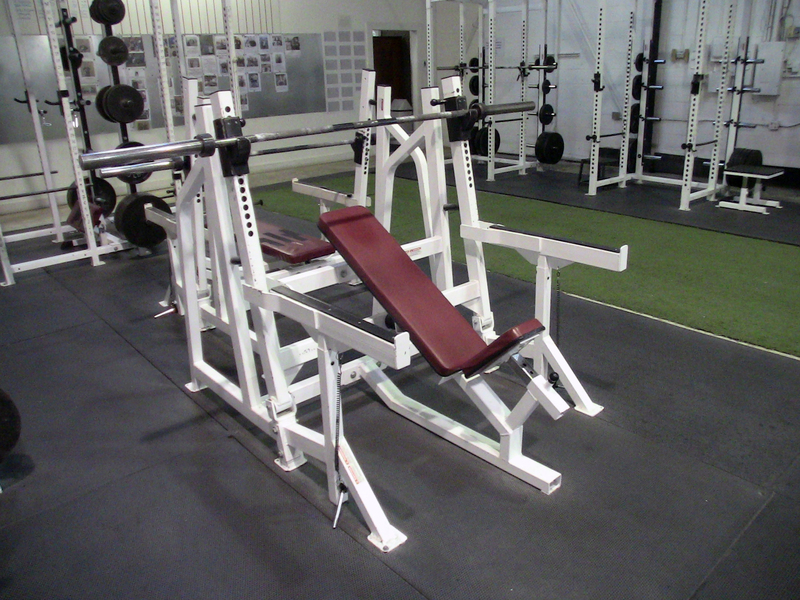 Band hooks have been added for the addition of exponential band resistance. 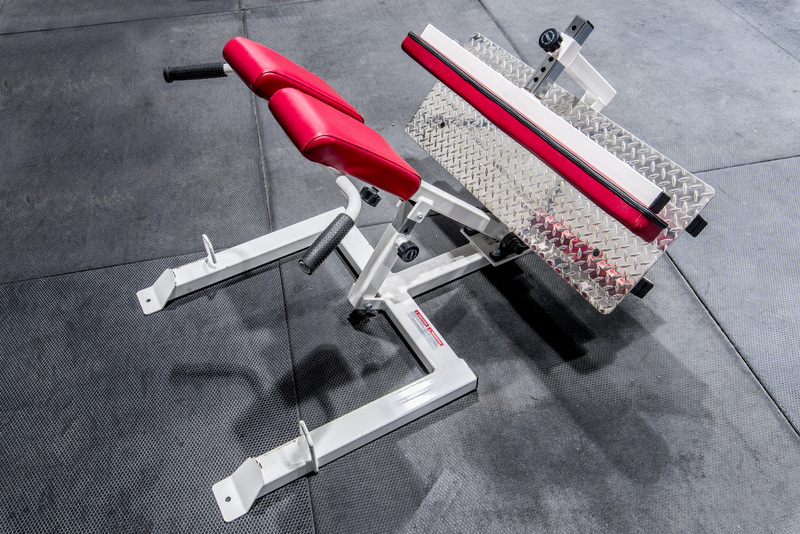 Finally, the pad is extra comfortable to accommodate any body weight or a maximal amount of added resistance. For vinyl the standard color is black. For any other colors there will be a $100.00 additional charge. For metal frames standard colors include: white and black. For any other colors there will be a $100 additional charge. Non-slip, high grip vinyl is available in black only. All prices are listed in U.S. funds. Product may not be exactly as pictured. View our Shipping and Terms of Service Policies for further detail. 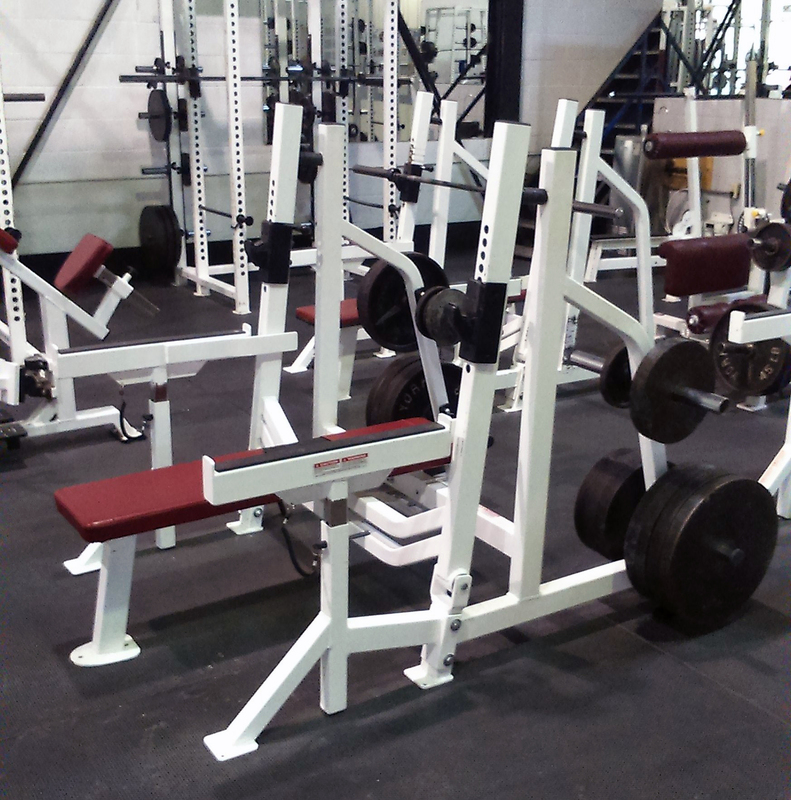 Dimensions are for assembled equipment. Shipping dimensions may be much less. Equipment in pictures may not be exactly as shown. Shipping is not included in list price. I feel secure and comfortable using it and it is easily adjustable. The improvement on the new padding and opened space makes it comfortable to use. The wide foot plate allows for better hip and flute activation. On top of that it is well built and comfortable to use. The back extension is a great option for variation in training as well as developing the posterior chain. It has helped me a lot with engaging my glutes for the deadlift in particular and is very easy to adjust for different tensions and weight adjustments.